MENAS is acknowledged as a leading innovator in the provision and use of aids to navigation equipment in the marine environment. Aids to Navigation - MENAS owns and maintains an extensive network of navigation beacons, buoys and lighthouses across the Middle East Gulf and its approaches. It also provides maintenance services and quality management practices for AtoNs considered essential for international shipping and owned by governmental and port authorities throughout the Gulf. DGPS and AIS - Since 1997, MENAS established and continues to operate a free-to-air differential global positioning system (DGPS) for the region. An upgraded service as well as a complimentary terrestrial based services are being developed, the latter still dependant on international protocols being developed and agreed. The Company has deployed Automatic Identification System (AIS) equipment across its network to both enhance the service to mariners and improve performance monitoring of AtoNs. 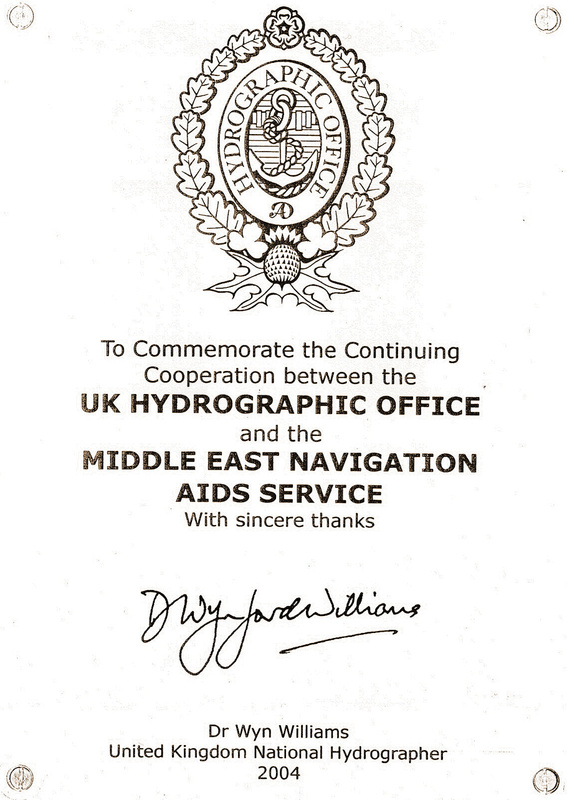 Navtex - MENAS is the Acting Sub-Area Co-ordinator, on behalf of the Bahrain Government, for NAVAREA IX (the Middle East Gulf and its Approaches) co-ordinating a NAVTEX service within the framework of the WWNWS system established jointly by the International Hydrographic Organisation (IHO) and the International Maritime Organisation (IMO). NAVTEX fulfils an integral role in the Global Maritime Distress and Safety System (GMDSS) developed by the International Maritime Organization (IMO). Notices to Mariners - Notices to Mariners provide essential, up to date information and advice to mariners navigating within the Gulf. Subjects include (but are not limited to) notification of marine development works and events, which may impact on navigation of a permanent or semi-permanent nature. Each Notice specifies the original source of the information and refers to the British Admiralty Chart(s) affected by the Notice. MENAS also issues a monthly Summary of its Notices to Mariners, which ensures dissemination of information to all major hydrographic offices worldwide. Commercial Marine Engineering - With a long history of expertise and intimate knowledge of the maritime navigation requirements of the Gulf, MENAS provides engineering services to port authorities and private sector industry with marine infrastructure requirements. Engineering solutions include the design, fabrication, supply and maintenance of AtoNs; sector lights, leading lights, buoys; shallow or deep-water mooring systems and berthing structures. MENAS offers technical expertise in the design and installation of AIS and monitoring systems and is the only independent DGPS installation engineer in the Gulf. Consultation - MENAS consults with user groups and other stakeholders in the formulation of policy, to ensure that Aids to Navigation in the Gulf waters meet both the requirements of mariners and comply with internationally accepted standards. Reviews of Aids to Navigation procedures are conducted on a regular basis. Periodic risk assessments are undertaken as port and waterway use develops, requiring change to infrastructure. All MENAS senior managers are certified by the IALA Worldwide Training Academy as IALA Level 1. With suitably qualified personnel not present anywhere else in the Gulf, MENAS provides marine consultancy and IALA-endorsed Aids to Navigation training to various entities.